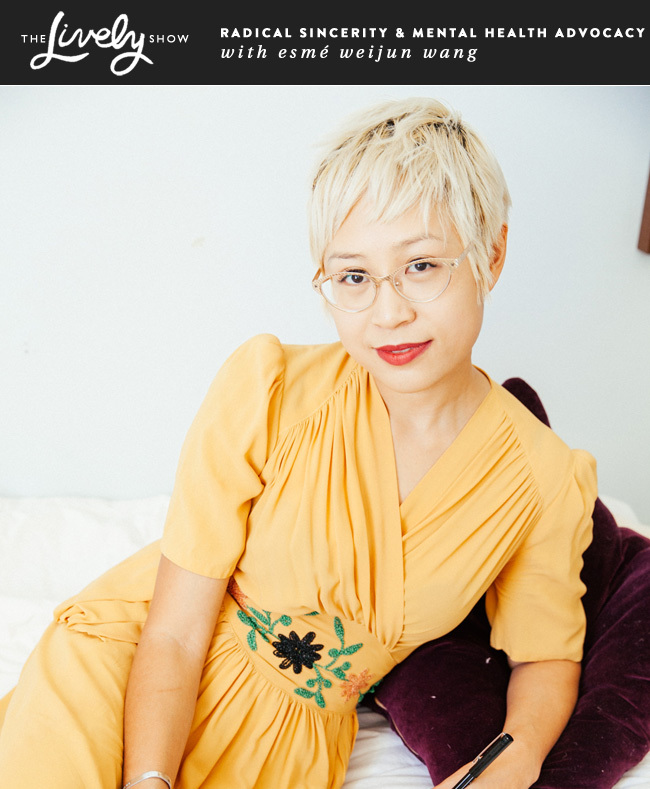 In today’s episode we’re chatting with Esmé Weijun Wang of EsméWang.com. Esmé is a talented writer, novelist, copywriter, blogger, and mental health advocate. In this episode, we’ll be exploring how Esmé juggles her challenging career while dealing with schizoaffective disorder. She’ll share what she recommends for those who also have a mental illness diagnosis, as well as what we can do if we have friends or loved ones who face something similar. In addition, we discuss how to overcome the urge to say “fine” whenever someone asks how we’re doing, and how we can become more radically sincere. This show is perfect for anyone who wants to be more compassionate (with themselves and others), wants to connect to people in deeper ways, or who have been affected by mental illness in their own lives, or those they care about. How Esmé juggled a challenging career and education with mental illness. What psychosis means, and how Esmé’s experiences with it in 2013. The right way to respond when someone reveals something deeply personal like a mental illness diagnosis, health diagnosis, or a death in the family. What “radical sincerity” is to Esmé, and how to embody it. What to say to avoid the “How are you?”, “I’m fine.” trap. Esmé’s recommendations for those with mental illness or other limitations and for those who have loved ones with a mental illness diagnosis. What Esmé would tell someone just starting out on this journey. PS – Want to support the show? Please leave a review on iTunes. I appreciate and read every one, and it helps the show get seen by more people on iTunes!